A feral boy comes of age on a campus decadent with starched sheets, sweating cocktails, and homemade jams. 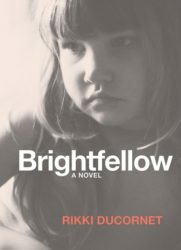 Brightfellow flirts with childish eroticism and terrible violence, yet in it Ducornet follows Lewis Carroll and Jorge Luis Borges, more than her sometime-precursors Vladimir Nabokov or the Marquis de Sade ... Ducornet’s is a world of surfaces so rich and textured that notions of meaning and interpretation are subsumed under a lush and seductive prose that eventually inhabits readers minds ... Its celebration of the texture and contours of storytelling, of the unruly expansiveness of language, and of the relative ease with which the borders of the world are permeated by fabulation offers a rebuke to a kind of fiction in which the imagination is increasingly constricted. ...[a] dark, elliptical fairy tale of a novel ... More for fans of atmosphere than fans of plot, Ms. Ducornet’s novel about a man who 'cannot fathom the bottomless secret of his own existence' casts a lingering spell. ...summary doesn’t get at the emotional tension that suffuses this novel, or the carefully modulated tensions that run between the book’s major characters ... fundamentally, this is an atmospheric glimpse into an unconventional, damaged life ... Brightfellow travels into an offbeat mind, but it’s an enlightening voyage. What did you think of Brightfellow?